Days ago, singer, Damilola Afolabi, aka LAX, was in the news for the wrong reason. 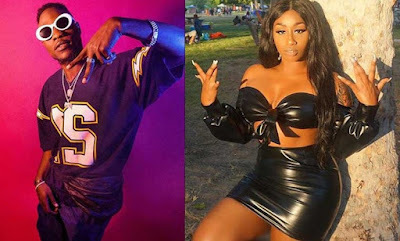 He was reported to have granted an interview to an online medium where he claimed that Kenyan singer, Victoria Kimani, is the ‘love of his life’. However, in an exclusive chat with Sunday Scoop, LAX denied saying that Kimani was his girlfriend. He said, “It was a misconception. I granted an interview and I said she (Kimani) was my ‘Woman Crush Everyday’. I didn’t say she was my girlfriend. The Gbefun singer also stated that his debut album was nearing completion. “I have been recording for a while and the album will be released before the end of the year. However, I will be putting out a single next week. Some of the artistes I worked with on the album are Davido, Wizkid and Ycee,” he said.